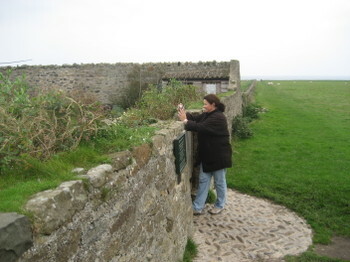 The days I spent at Lindisfarne will stay with me forever. It is not easy to share this in blogging, and there are so many things I never will want to share. At the same time I want to share with everybody more about this paradise on earth. Blogging is becoming very popular. I read several blogs daily, and many of the blogs I read have become places I want to go back to again and again. Other blogs feel too private for me, and I feel like an intruder in someones private life when I read. Blogging is a balance, and I struggle to master it. ....Well, these thoughts are worth it's own blog entry one day. 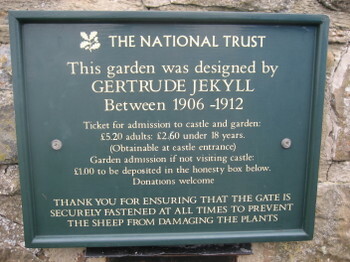 Today I want to take you with me to Lindisfarne and the Gertude Jekyll garden there. 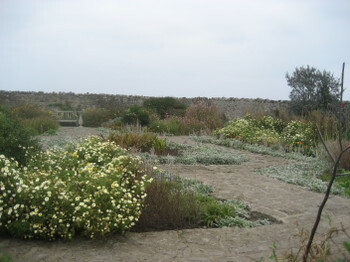 The garden, which was designed between 1906 and 1912, is situated below the Lindisfarne Castle, almost in the middle of nowhere. Though this summer has been exceptional warm and nice in Great Britain, and the weather was still quite nice when we visited Lindisfarne, the beauty of the garden had faded. I hope to be able to come back during the summer one day to walk around in the garden and breath it's special charm and beaty. 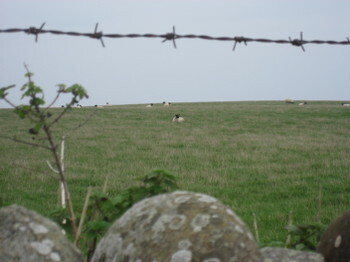 The only other visitors the day I was there were the neighbour sheeps.